MARLTON, NJ (January 2, 2017) — Orpical Group, a full-service New Jersey marketing company is investing big in web content. 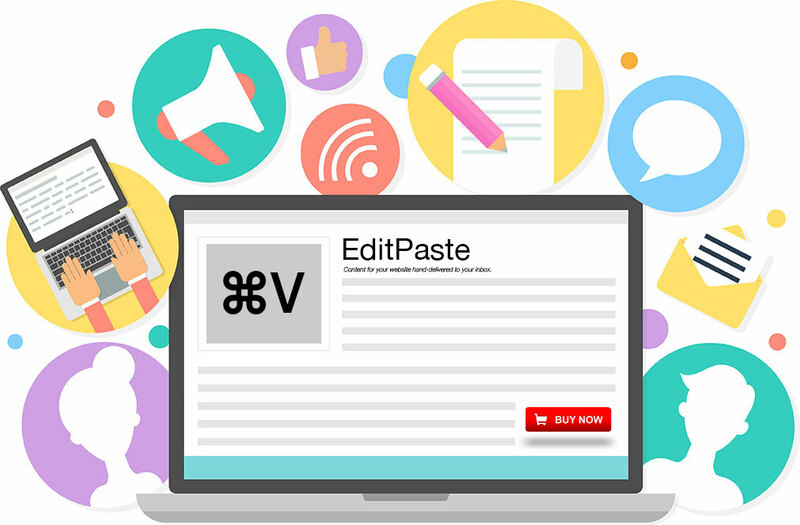 To kick off Q1-2017, Orpical Group launched their new content development services hub called EditPaste. EditPaste by Orpical Group offers busy business owners a way to buy unique, ready-made articles, infographics, and other media. Subscribers choose what type of website content they want, plus how often they would like to receive communication. From there, the makers of EditPaste will create and hand-deliver unique articles for search engine optimization (SEO) via email. Subscribers can then purchase the content they want customized for their business. In addition, they can add web posting, social media distribution, reporting and support for their purchased content upon checkout. EditPaste by Orpical Group is an improved way for busy business owners to buy articles for their website and blog. Simply sign up to join the EditPaste mailing list and receive engaging, targeted content delivered to your inbox each week. For more information on EditPaste, or to sign up to start receiving custom content, please visit www.orpical.com/editpaste/, or email Stefan Schulz at editpaste@orpical.com. Orpical Group is a full-service marketing company. Based in New Jersey (NJ), we specialize in logo design, branding, web design and development, and internet marketing. Since 2012, we have helped our clients realize and sustain high levels of individual and organizational performance. We don’t believe in a one-size-fits-all marketing approach. We believe in our clients. And our clients believe in us because we are invested in success. For more information on Orpical Group and their marketing services, please contact us.